Victory Sports Management provides start of the art timing and scoring services for 5K/10K in Florida. We use cutting edge hardware, software, and timing tags to deliver an amazing and accurate race experience for the athlete and race host. Contact us to book your next event and allow us to deliver a great race experience to you and your athletes. Victory Sports was amazing, professional, and we could not have achieved the races success without them. We have never put together a 5K but wanted to do something in honor of my late husband. Victory Sports guided us the entire way and were always available to help. We will use them every year for our 5K. All the runners were happy and enjoyed their personalized race certificate. Toby B. used this timer 1 time(s) 1/2 found this review helpful. View all Victory Sports Management reviews. 1/2 found this review helpful. 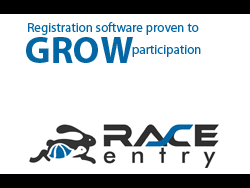 RaceEntry.com also cannot attest to the validity of individual Victory Sports Management reviews. All of the information about the Victory Sports Management has either been supplied by the event staff or can be modified at any time by their management.